New Way Aquaponic Farms is a teaching, learning, and production farm located in Midtown Memphis. We grow via aquaponics and specialize in the farm-to-table concept. New Way Farms opened in 2017 and is located in the Annesdale-Snowden section of Memphis. 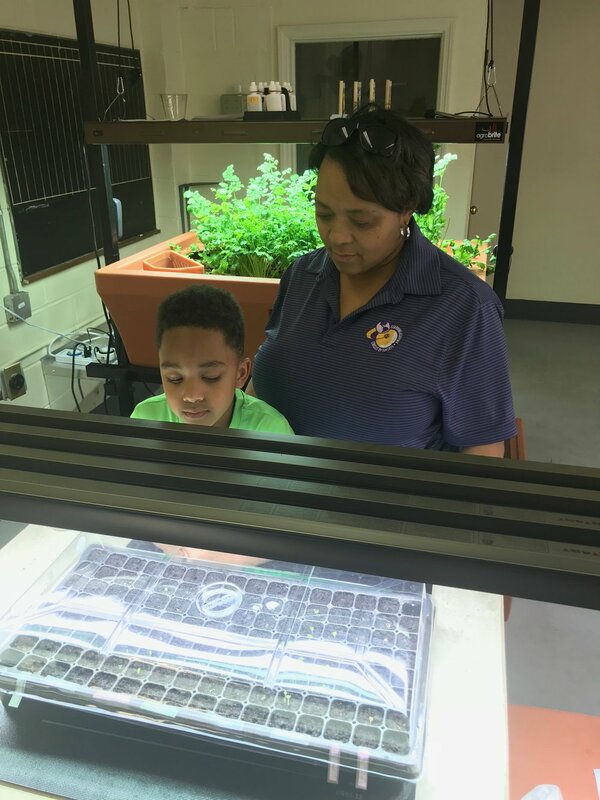 We began the farm as a means to train school age kids and adults in the science and art of growing food via aquaponics. 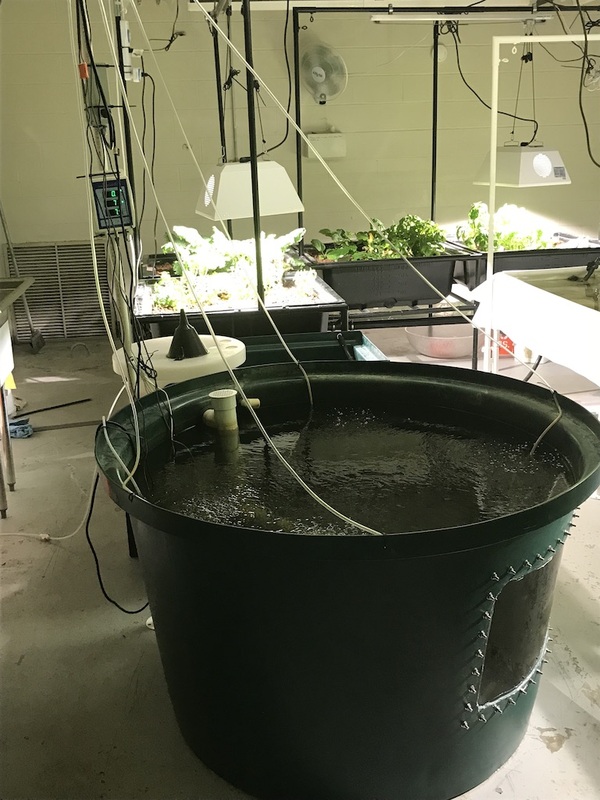 Aquaponics is the combination of the word “aqua” from aquaculture or the growing of fish + “ponics” from hydroponics or the growing of plants in a medium other than soil. In aquaponics, we grow vegetables and plants with fish in water, in a closed system. The fish pee and poop is converted, by naturally occurring bacteria into nutrients that the plants absorb to grow. We only use 10% of the water used in conventional agriculture. We have programs that teach STEM topics to students 12 years and older. The tasks involved in maintaining the farm are no more than science, technology, engineering, math, and civics experiments. Contact us to determine if our programs can supplement your school's or home school's curriculums. Our future plan is to build a 3,000 sq ft greenhouse on property adjacent to the farm's main building. The greenhouse will supply local restaurants, specialty markets, retail consumers, and herbal medicine practitioners. We also plan to work with local based organizations committed to alleviating food deserts and hunger in Shelby County. I, like many of you, have always wondered where and how the food that I consume is grown. I have had raised beds in my backyard, where I have successfully grown vegetables that my family ate. But I wondered if there was a system that could generate both vegetables and protein, in an environmentally friendly and sustainable manner. I found aquaponics could do just that. 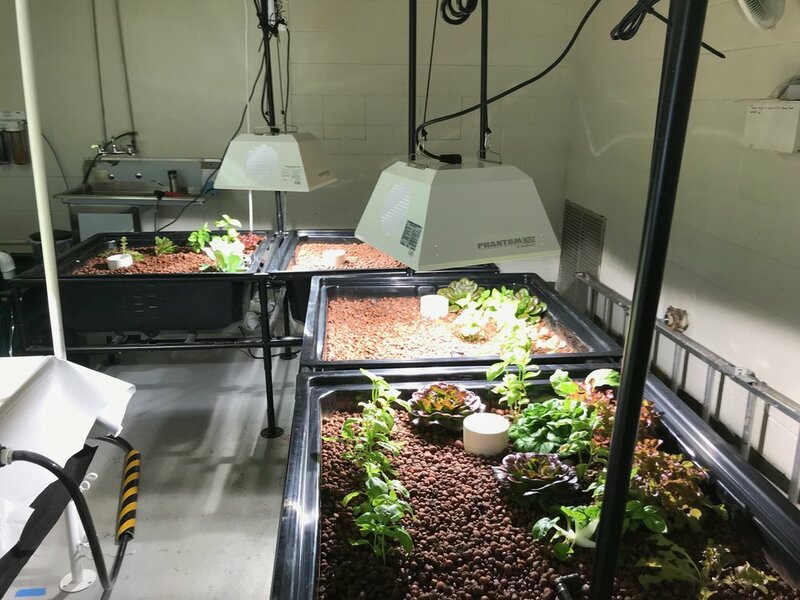 Aquaponics not only can supply food, but it can teach us how to apply math and science concepts that we learned in school to better perfect the quantity and quality of the food being grown vs. waiting solely on nature to provide the ideal circumstances for successful harvest. Join us for a 1-1/2 hour orientation about what it takes to be a home or student aquaponics farmer. Sessions are Monday's, beginning June 3rd - July 29th and Wednesday's, beginning June 5th - July 31st both days at 6:00pm. Cost $50 for one or two people, includes aquaponic handouts and beverages. Register for a specific date below. For those wanting to explore aquaponics do’s and dont’s on their own, we also have a great book for home aquaponics - Sylvia Bernstein’s - “Aquaponic Gardening”. You can order the book by hitting the "Purchase" button below and it can be shipped or if you visit the farm, pick up and pay at the farm. Cost is $24.95 plus tax - if shipped -$5 more will be added to cost.